The 3M Company, formerly the Minnesota Mining and Manufacturing Company (1902–2002), is an American multinational conglomerate corporation. Based in Maplewood, Minnesota, 3M employs 88,000 people and acquires over $30 billion in annual sales. 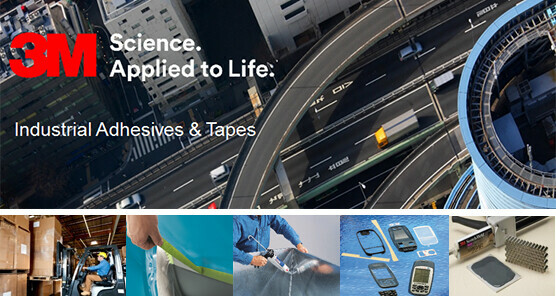 3M industrial products are available for purchase through distributors, such as IBS Electronics, Inc and may be shipped anywhere in the world. Founded in 1902 from the Lake Superior town of Two Harbors, 3M was originally known as Minnesota Mining and Manufacturing Company. When the company moved to Duluth to work on sandpaper products, they attracted new investors such as Lucius Ordway. Early technical and marketing innovations produced success and 3M paid its first dividend of 6 cents a share in 1916. The world’s first waterproof sandpaper was developed in the 1920’s, reducing airborne dust during automobile manufacturing. A second milestone occurred in 1925, when young lab assistant Richard G. Drew invented masking tape. This proved to be innovative and the first in a series of Scotch® Pressure-Sensitive Tapes. Following this, technical progress resulted in Scotch Cellophane Tape for box sealing, and soon hundreds of practical uses were discovered. In the early 1940s, 3M was diverted to defense materials for World War II. This was eventually followed by new ventures, such as Scotchlite­™ Reflective Sheeting for highway markings, filament adhesive tape, magnetic sound recording tape, and the beginning of 3M’s engagement in the graphic arts field with offset printing plates. In the 1950s,3M industrial introduced the Thermo-Fax copying process, videotape, Scotch-Brite™ cleaning supplies, Scotchgard™ fabric protector, and other electro-mechanical products. Dry-silver microfilm was introduced in the 1960s, along with photographic products, carbonless papers, overhead projection systems, and the rapidly growing healthcare business of medical and dental products. Markets further expanded in the 1970s and 1980s into pharmaceuticals and energy control. Later in the 1980’s, 3M introduced Post-it® Notes, which changed people’s communication and organizational behavior. In the 1990s,3M industrial continued to develop original products, including brightness enhancement films for electronic displays; and flexible circuits used in inkjet printers, cell phones and other electronic devices. Recent innovations include Post-it® Super Sticky Notes, 3M industrial tape, Scotch® Transparent Duct Tape, optical films for LCD televisions, and a new family of Scotch-Brite® Cleaning Products.